University of Maine received a A.
U.S. News & World Report's ranking of 97 out of 117 of National Universities Top Public Rankings was a major contributor to this grade. University of Maine is college with 9182 students located in Orono, ME. Describe the type of student who should not attend University of Maine and explain why. Students who like small and simple environments should not attend UMaine because the university is fast paced and always has a lot going on which could become extremely overwhelming for an unprepared student. Describe the type of student who should attend University of Maine. Why? The student that should attend UMaine should be motivated and self-driven. There are many opportunities and connections through the University of Maine that an achieving and dedicated student will be able to take advantage of and succeed through. What is a typical University of Maine student like? Describe the type of person that should attend University of Maine. What are the top 3 reasons someone should attend University of Maine? The welcoming feeling that you get when you are there. The fact that everyone is genuine and actually interested on helping you pursue your goals. What was a typical University of Maine student like in high school? Describe the type of person that should attend University of Maine. A popular marine sciences program flourishes here, as does engineering. Has evolved into a respected national research university students are still just as supportive of their UMaine Black Bears. Prepare your application as if you are applying to a private university. Located in the town of Orono along the banks of the Stillwater River, the University of Maine offers a strong traditional education at an affordable price. 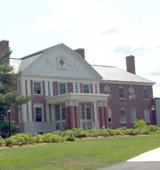 The state's land-grant university and the flagship institution in the University of Maine System, UMaine is one of New England's premier universities. We help students create success stories--with a wide variety of programs and opportunities--and we do so with world-class faculty members, nationally recognized research; first-rate facilities; a friendly, safe atmosphere; and easy access to some of the best year-round recreation sites in the nation. At UMaine, you'll enjoy the world through 88 bachelor's degree programs, 70 master's degree programs, and 30 doctoral programs. Our library is ranked among the top in the country, we have one of the nation's oldest and most prestigious Honors programs, now the Honors College, and our students enjoy hands-on research, even at the undergraduate level. Of course, nothing compares to visiting our campus in person and we hope you'll do so soon. In the meantime, tour UMaine through our family of Web sites. In them, you'll discover UMaine's story. What are the top 3 things that students do for fun at University of Maine? Any instructional program in Romance languages, literatures, and linguistics not listed above. The average student pays $16,255 for tuition, fees, and other expenses, after grants and scholarships. Total stated tuition is $8,370, in-state and on-campus, before financial aid. Learn more about financial aid at http://www.umaine.edu/stuaid/. Estimate the net price for you at http://www.umaine.edu/netpricecalculator/. The typical (median) early career salary of University of Maine graduates is $41,400, according to Payscale. University of Maine participates in the NCAA Division I-AA for college athletics. Want more info about University of Maine? Get free advice from education experts and Noodle community members. How difficult is it for out-of-state students to get admitted to U Maine? Any advice?